The flag of North Korea was adopted on 8 september 1948. It is composed of five horizontal stripes: blue - white - red - white - blue. The white stripes are very thin and separate blue from red. Slightly to the left in the red band is a white circle bearing a red five-pointed star. The circle, as in other Asian countries, can be likened to the sun, some even see it as a representation of Ying and Yang, which evokes the universe. The red star is a powerful symbol of communism in this highly politicized country whose regime is cut off from the outside world. Finally, the colors of stripes are a combination of official colors of the country, often worn by the people, very patriotic (students, state staff, even in the street). The red symbolizes the revolution there, blue for peace and white for purity of intentions. You can download it in different sizes, in a decidedly modern design for your personal use, or for wider use. North Korea's flag is available in 4 different sizes. 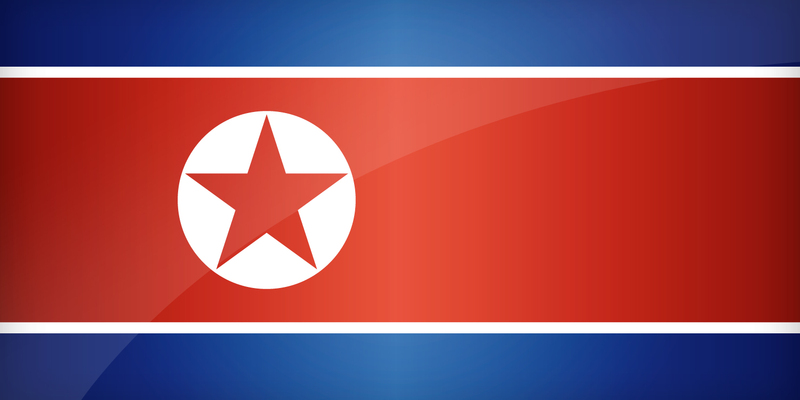 Keywords: Flag north korea wallpaper, North Korean, Democratic People's Republic of Korea, National north korean flag, banner, pictogram, country, icon, North Korea icon, international, Pyongyang, Pyongyang, Hamhung, Chongjin, Asia. This page has been viewed 3854 times.